Few days ago, A Cyber War against terror was announced by the World’s biggest hackers network group- The Anonymous, after the announcement of the #OpCharlieHebdo, everyone was waiting for a hack against the terror groups. Now the wait is over as the cyber attacks are being launched by hackers at the time of publishing this news. According to the Anonymous, they have already took down a jihadist website in retaliation for the terror attack on French satirical magazine Charlie Hebdo. Names of the terror people, I mean the names of twitter accounts related to the jihadists being leaked on the pastebin.com. On Friday, the #OpCharlieHebdo was officially announced. “Anonymous has always fought for freedom of speech and freedom of the press. We will never stop and Anonymous will remind every citizens that freedom of press is fundamental to all democracies. According to the CNN.com, On Sunday, millions of people, including world leaders, marched in an anti-terrorism rally in Paris. The French Mission to the United Nations called the massive gathering the largest in France’s history. We are keeping our eye on tweets related with the hashtags: #JeSuisCharlie #OpCharlieHebdo #CharlieHebdo, We will update this post, if find something new about the hacks. 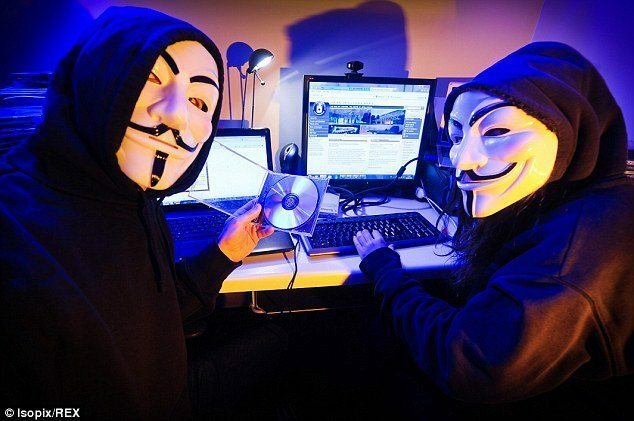 Tell us in comments, Is it a way to fight against the terrorism, You Agree with Anonymous? A list of identified terrorist facebook accounts has been released on twitter via one of the Anonymous twitter account (@AnonyOpNews).